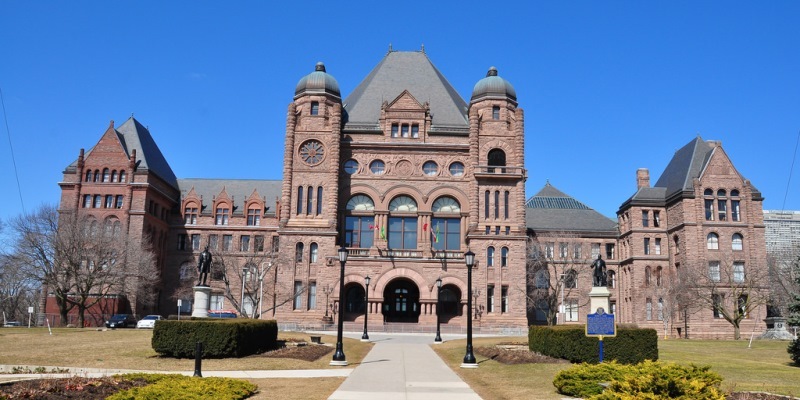 Last week the Ford government reported on the state of Ontario’s finances. Turns out, when proper accounting methods are applied and up-to-date economic projections used, Ontario’s deficit is larger than previously assumed. It’s actually $15 billion, not the $6.7 billion claimed by the Wynne government. Hopefully Ontarians will now better understand the scale of the province’s fiscal challenges. Ontario’s debt-to-GDP ratio, the best way to measure the sustainability of the government’s debt burden, has barely budged since peaking at approximately 40 per cent after the 2008/09 recession. Should another recession hit, Ontario would be in a much worse starting point than in 2008/09, and the debt burden would climb to a new historic high. This represents a serious risk as it would result in more tax dollars being spent on debt interest rather than tax relief or public services. The depth of Ontario’s fiscal hole is daunting, but the province can climb out if the new government exercises spending discipline. A recent Fraser Institute study shows that if the government reduced nominal spending from the 2017/18 level by 5 per cent between now and 2020/21, it would free up approximately $25 billion compared to what the last government planned to spend in that year. Barring a recession and assuming government revenues continue to grow, that should be more than enough to eliminate the $15 billion deficit while also creating fiscal room to allow Ontarians to keep more of their money by reducing income taxes. Even if the government is unwilling to reduce nominal spending (that is, dollars not adjusted for inflation), it can still exercise restraint. For example, a nominal spending freeze at 2017/18 levels would free up approximately $20 billion compared to the last budget forecast would be spent that year. That would be sufficient to eliminate the enlarged deficit while leaving some room for limited tax relief. To be clear, this won’t be easy. A nominal freeze or reduction means reductions in inflation-adjusted per-person spending. But given the scale of Ontario’s challenges, bold action is required. Some will argue for a slower, more gradual approach. However, Canada’s fiscal history illustrates the benefits of an active, rather than passive, deficit-reduction strategy. During the 1990s, governments of all political stripes successfully reduced spending to slay deficits and create fiscal room for pro-growth tax reform. If the Ford government takes an ambitious approach, it can map out a more sustainable long-term strategy for government spending. Specifically, once the deficit is eliminated, if the government holds the rate of future spending growth to the combined rate of inflation-plus-population, spending will grow at a rate approximately one percentage point below the historical rate of revenue growth. Money coming in will increase faster than the amount of money going out. Such a plan will produce new fiscal room, creating further opportunities for tax reductions and carefully-considered infrastructure investment (roads, etc.) that can make Ontario one of the most attractive places in North America for talent and business investment. The new larger deficit number doesn’t change the fundamental goal. The government must get spending under control to facilitate pro-growth tax reform while simultaneously healing Ontario’s finances. While things may look dire now, the potential exists for transforming Ontario into a vibrant jurisdiction with a pro-growth tax regime and one of the most attractive investment environments in North America.